CarGurus has 2,139 nationwide GLK-Class listings starting at $6,514. A sophisticated feel, solid performance, decent ride comfort, rugged good looks, a plethora of luxurious cabin touches, noteworthy value and admirable safety scores keep M-B’s little sport ute, the GLK-Class, a consistent winner. Cramped rear seating, smallish cargo capacity, tepid mileage, the lack of an economical diesel powerplant and a somewhat cramped rear seat all add up to the view that the 2012 GLK-Class could still use a few tweaks. Though a tad undersized when compared to some rivals, Mercedes-Benz’s 2012 GLK-Class compact ute still flaunts enough Euro-cachet to appeal to the value-minded, luxury-loving commuter. A well-wrought cabin loaded with premium materials and build quality, as well as solid yet supple ride comfort and peppy V6 performance all yield that feeling of above-average luxury expected from this legendary German automaker. Beware, however, that loading up on options will quickly crunch the budget. Some call it a compact SUV, some call it a crossover SUV, but whatever it’s called, the 2012 Mercedes-Benz GLK-Class looks the part of a utilitarian luxury automobile. The German automaker’s smallest compact sport ute…as the company has seen fit to christen it… offers the now-familiar boxy profile that impresses with its no-nonsense simplicity, sharp angles, high stance and admirable lack of pretension. Five-passenger seating, along with 5 doors and 54.7 cubic inches of total cargo area are in keeping with expectations of the small SUV owner. The decided dearth of cargo space, not to mention a lack of rear-seat legroom, turns more than a few reviewers off, but, hey, if its cavernous cargo room or 3-across adult seating that’s needed, then M-B’s M-Class or G-Class might be a better, if significantly pricier, choice. In any case, Benz’s downsized ute is offered in two trims, the rear-wheel-drive (RWD) GLK350 and the GLK350 4Matic, which is an all-wheel-drive (AWD) version. Both editions return the tested 3.5-liter V6 powerplant matched up with a competent 7-speed auto-manual transmission. With either RWD or AWD variations, owners can expect the quality, reliability, luxury and engineering that M-B is justly famous for, and all at a reasonably attractive MSRP. Start adding options, however, and this pint-size ute can begin to hammer some serious dents into the old bank account. A few small improvements for 2012 will not differentiate this latest GLK-Class’ profile from its 2010 introductory version, but do seem to impress a number of reviewers in their simple elegance. The standard USB port has been moved from the glovebox to a more accessible dashboard location, while the audio head has been upsized to a 5.8-inch color display. Finally, the steering wheel now boasts premium leather wrapping, with the headlight switch sporting a spiffy new look. Sticking with the standard offerings still begets a well-endowed cabin, a bundle of delivered goodies, RWD torque, better than average ride and handling capability, and that legendary Germanic refinement. Heck, even the GLK350 4Matic, if left to its own finely wrought self, can be considered a bargain by today’s often inflated automobile standards. Before committing themselves to this compact ute, tire-kickers may want to check out such comparable competition (size-wise) as Audi’s Q5, Beemer’s X3 and Volvo’s XC60. All offer similar compact luxury, a bit more cargo room and a smidgen more rear-seat legroom. Or perhaps a jump in dimension to the midsize Acura MDX or the Lexus RX 350 might be a wise choice for the growing family. Those who demand a compact SUV with all the bells and whistles, however, ought to find the GLK350 just right, price-wise, performance-wise and size-wise to flaunt its patented 3-point badge in the office parking lot, the most prestigious mall, or the newly repaved driveway. Though a change is expected next year, for 2012 the GLK350, in both drivetrain configurations, still chugs along with the tried-and-true—if not particularly efficient—3.5-liter variable-valve-timed V6 engine with its okay 7-speed shiftable automatic transmission. This combo returns with 268 hp at 6,000 rpm and 258 lb-ft of torque at 2,400 rpm, while the automatic again offers its 7 speeds in either full automatic or Sport mode. Towing is maxed out at 3,500 pounds when the available Class II trailer hitch is added, and mileage is pegged at 16 mpg city/22 highway in standard RWD garb, and 16/21 with the GLK350 4Matic’s AWD configuration. The AWD system again makes its living by allowing rear-wheel-drive economy in normal driving conditions and automatically switching torque from the wheels that slip to the wheels that grip, even if only a single wheel, when conditions warrant. In testing, the V6 humped this little ute from 0-60 in an average of 6.9 seconds, which isn’t bad for the segment, but few reviewers are impressed with its still-tepid mileage figures. Acceleration with the 7-speed automatic remains adequate for pretty near all driving conditions, according to a number of reviews, but the transmission is chastised by a few reviewers about its occasional hunt-and-peck search for the proper gear. All reviewers are in agreement, finally, that the manly growl of the V6 on acceleration is a perfect complement to its well-modulated purr at highway speeds. Carrying on with tradition, the GLK-Class again rolls on a 4-wheel independent suspension boasting MacPherson front struts and a multi-link rear end. Stabilizer bars front and rear help give this compact ute a stable, well-modulated ride that’s easy on the rump, even with the available 20-inch wheels. The standard 19-inch alloy wheels and all-season tires absorb road imperfections with admirable (and expected) aplomb, while wallow and float remain all but non-existent, according to virtually every review. Steering remains accurate and with plenty of feedback, note most reviewers, with fast corners producing an absolute minimum of body lean. A smidgeon of vibration through the steering wheel will be noticed on rough surfaces, according to several reviews, but this is of small consequence in the overall handling competence of this little Mercedes. Brakes, finally, remain strong and true, with no pedal anomolies. 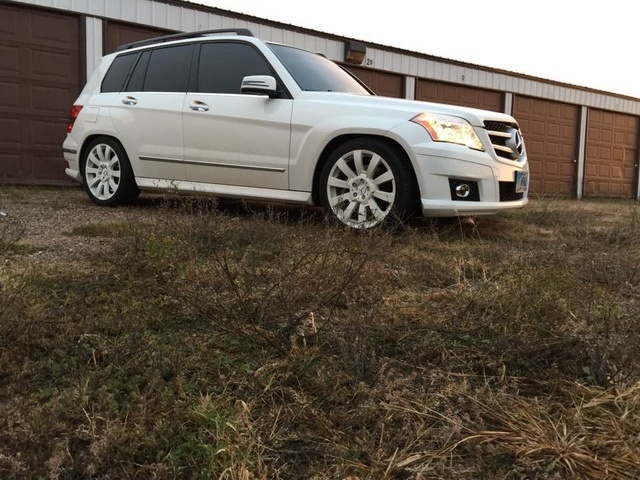 Tests found a GLK350 4Matic coming to a stop from 60 mph in a class-leading 119 feet. In keeping with its luxury status, the 2012 M-B GLK-Class sports the usual numerous touches inherent in its class. The standard 19-inch alloy wheels, roof rack and rear spoiler are complemented by body-color heated power-adjustable mirrors outside, while premium leatherette upholstery endows the 8-way power-adjustable front seats with manual height adjustment. Remote power door locks and remote-capable power windows are again standard, with cruise control and telescoping tilt-wheel steering embraced by dual-zone climate control and soothing ambient lighting, each under the direction of Sun Sensor technology. The luxury feel inherent in this little ute’s pleasant cabin, meanwhile, continues to be enhanced by the leather-wrapped steering wheel, alloy and wood dash and door accents, front and rear floor mats, and the handy cooled storage bin—all of which remain staples that have adorned this pint-size Benz since its inception. Techno-wise, the GLK-Class again boasts M-B’s touted COMMAND electronics interface technology that complements the returning 100-watt audio system, complete with 6 speakers, auxiliary MP3 input and, of course, a USB port. Finally, standard Bluetooth hands-free calling once more keeps everyone in touch and in tune. Options packages in this ruggedly handsome compact ute begin with the Premium 1 Package starring a power rear liftgate, a universal remote garage door opener, a panoramic power sunroof, auto-dimming rear-view mirrors inside and out, a power-adjustable steering wheel, power-adjustable front-seat lumbar supports and satellite radio. The Multi-Media Package adds voice-activated hard-drive-based Navigation and DVD capability in an up-sized touchscreen display, along with 40GB music storage and satellite-radio-interfaced real time traffic alerts. The Full Leather Seating Package and the AMG Sport Styling Package, meantime, offer full leather seating trim, heated and cooled front seats, added genuine wood cabin accents and premium interior lighting, and 20-inch alloy wheels and an aluminum roof rack, respectively. Finally, notable standalone options include rear-seat DVD entertainment and a front under-seat storage bin. Reviewers in general find the 2012 GLK-Class to be pleasantly appointed with logically located controls and large, easy-to-read gauges. Interior materials and workmanship are top-shelf, with the standard leatherette upholstery and genuine wood trim adding that lathering of class for which the German automaker is famous. Seats are described by most reviewers as comfy and supportive with plenty of front-seat legroom and easy entry/exit. As mentioned, most reviewers feel that this downsized ute could use a bit more rear legroom and cargo area, while a few are disappointed that the rear seats don’t fold quite flat, thus cutting the already minimal rear storage space even further. Finally, reviewers can’t stress enough that loading Mercedes’ compact sport ute up with options will get very expensive, very quickly. Legendary for its over-the-top safety features, M-B has packed its entry-level compact GLK350 and 350 4Matic with standard safety equipment like 4-wheel antilock brakes boasting emergency braking assist, emergency braking preparation and electronic brakeforce distribution. Traction and stability control, of course, come standard, as do front and rear head airbags, dual front side-mounted airbags, driver-side knee airbags, and front-passenger pelvic airbag protection. Again, this pint-size ute sports standard front fog/driving lights, daytime running lights, turn-signal-integrated mirrors and a remote antitheft alarm. Front and rear sensors, as well as Mercedes’ mbrace emergency alert system, each remain optional. No government safety tests have been done on the 2012 GLK-Class, but it does earn a Top Safety Pick from the Insurance Institute for Highway Safety (IIHS), with its top score of Good in all testing criteria. The cramped rear seating, significant dearth of cargo area, and mileage numbers that some consider sub-par are the most common complaints that owners have with Mercedes’ 2012 GLK-Class. Others, meantime, feel that the standard electronics could be updated a bit, while the high cost and rather confusing listing of options and accessories doesn’t sit well with more than a few owners. Finally a somewhat too-firm ride draws a number of owner complaints, as does the lack of a diesel engine offering. On the other hand, this compact ute’s quiet cabin, overall reliability, solid driving dynamics, ruggedly handsome profile and obvious build quality are all a distinct hit with owners. The available GLK350 4Matic’s intelligent AWD system is praised by a majority of owners, while the wealth of standard creature comforts and convenience goodies in both variations draws nothing but kudos from owners. What's your take on the 2012 Mercedes-Benz GLK-Class? 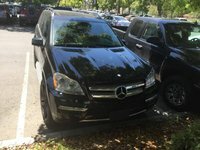 Users ranked 2012 Mercedes-Benz GLK-Class against other cars which they drove/owned. Each ranking was based on 9 categories. Here is the summary of top rankings. 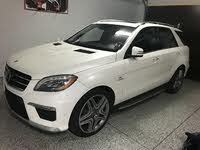 Have you driven a 2012 Mercedes-Benz GLK-Class? Mercedes GLK 350 Dotted Line In Speedometer Mean? While driving on freeway my engine felt like it lost power and a white dotted line came on on the speedometer under the mph numbers. 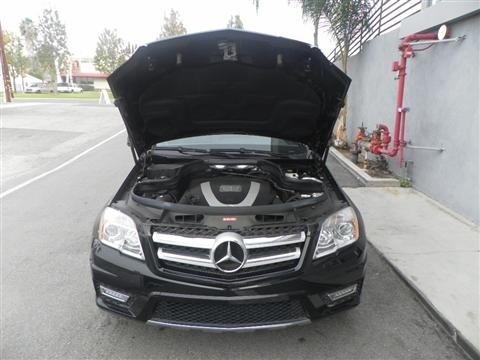 2012 GLK 350 What Type Gas To Use In This Car? What type of gas to put in? regular, mid grade or premium?